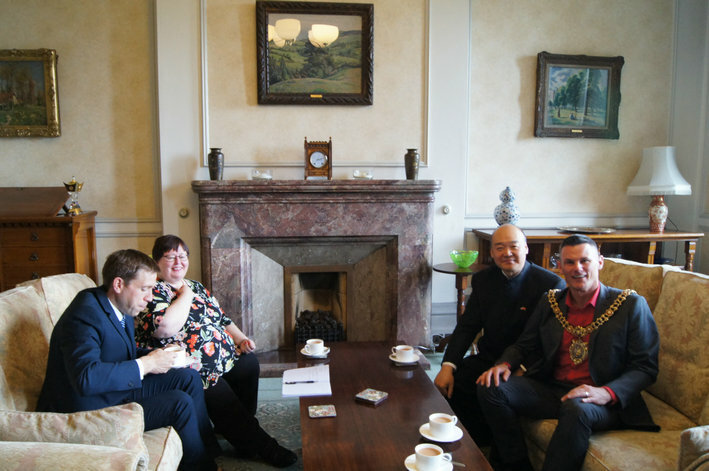 On Oct. 11th, Manchester City Council organized a courtesy call to welcome Consul General Dr. Sun Dali and congratulate him on his new post. 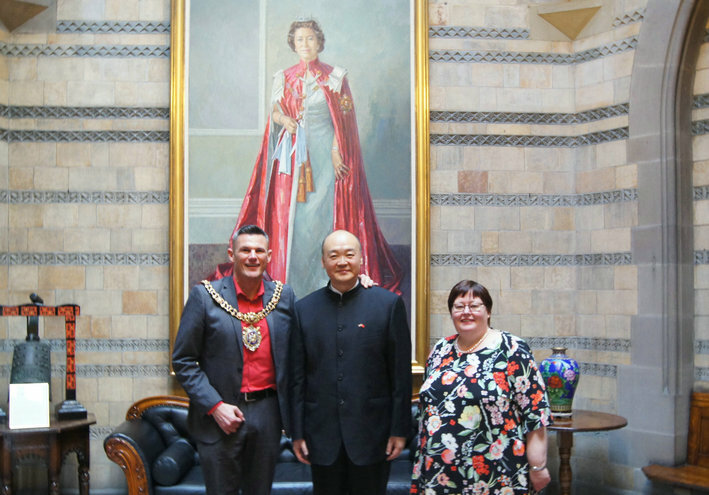 Lord Mayor Carl Austin-Behan welcomed Dr. Sun on behalf of Manchester City Council and expressed the will to continue to work closely with Chinese Consulate General in Manchester to strengthen the City's China link and to reach out through the Consulate General to local Chinese communities. Consul General Dr. Sun Dali began by forwarding greetings from Chinese Foreign Ministry and Chinese Embassy in the UK. He noted the solid foundation laid by visits of both state leaders for bilateral relations. Giving a briefing on the major responsibilities of the Consulate General of China in Manchester, he expressed the will to enhance communication with Manchester City Council in order to provide more information to Chinese businesses who are interested in cooperating with Manchester. He expected the City Council to help with visa facilitation for Chinese visitors.